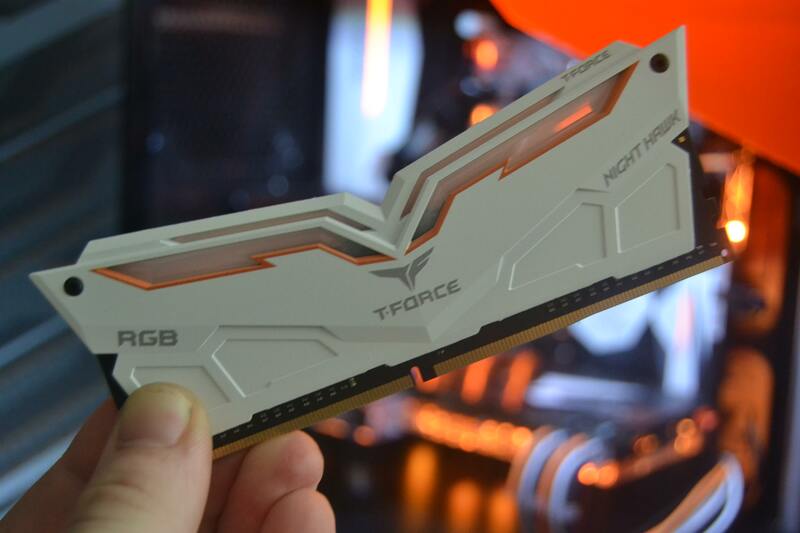 As seen above in the video, the NightHawk RGB RAM is part of Team groups Gaming range. The RAM it's self comes nicely packaged inside a vibrant and well designed and informative box. One of the first things i noticed as i removed the RAM from the box, was the orange trim around the light areas. (Really pretty imo) It really throws a new level of style at you. the RAM is pretty weighty and solid. 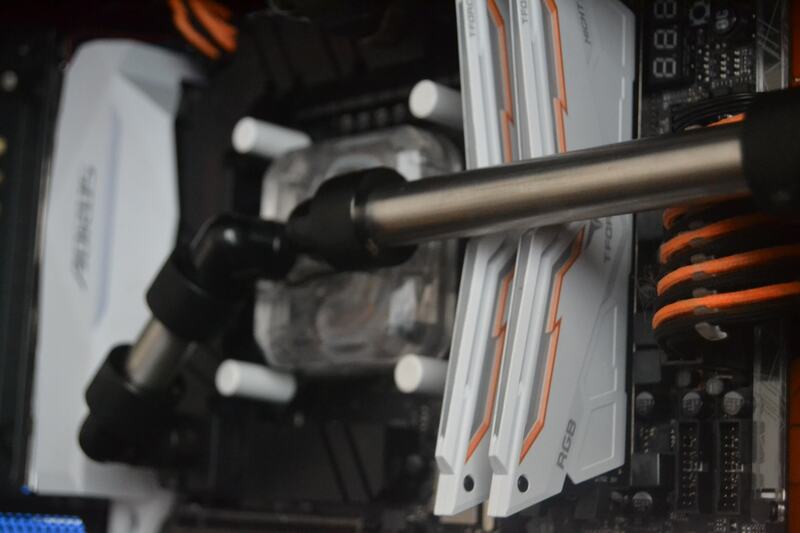 i recently got my hands on another kit of RAM from another company and found the heatsink mostly made of plastic which felt cheap and nasty BUT, team group have gone down that premium feel road, and i love that. Once you've got the sticks in your system and started up, You're greeted with a comet effect light show while the colors slowly transition. the light dissipates across the top and sides of the RAM evenly and i see no dead areas. ● NIGHT HAWK RGB provides 9 lighting effects in total. This product will support Asus Aura Sync; however, it will need future update from Asus to be functional. Worth noting at this point, this kit is available in both White and black! Unfortunately i have 3 rigs out at shows right now, and with the current rig, the Loop requires a complete disassemble to remove the RAM. So i am unable to bench this kit against my previous 2 benches. (After august i'll be able to do so. In todays market, the price of DDR4 has been steadily rising. And we see 'some' companies taking massive advantage of this. Especially in the RGB arena. 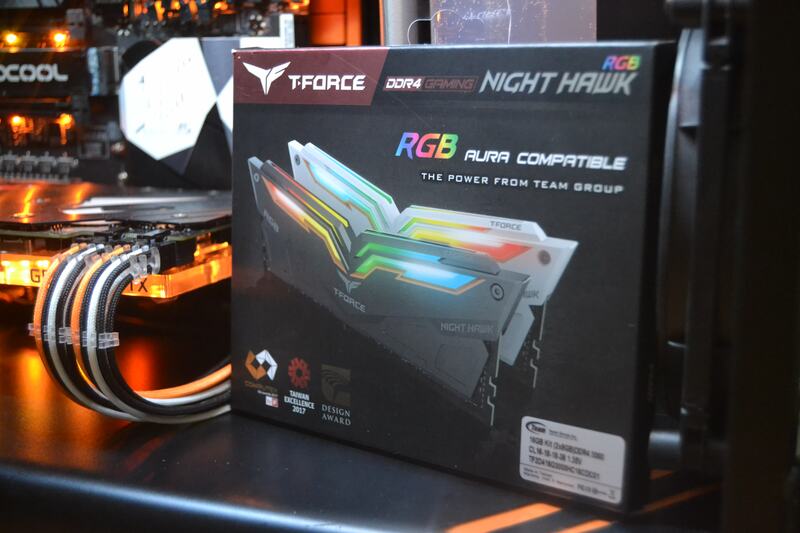 However i'm pleased to say that the T-Force NightHawk RGB kits are fairly priced.